This is a 100% Pre-produced drama. Filming began on 2016-November and finished on 2017-June-15. It’s based on the novel of the same title by Kim Yi Ryung which was first published on 2011-Aug-19 by Paranmedia. Wang Won (Im Shi Wan) is the Crown Prince during the Goryeo Dynasty who harbors an extreme lust for power. His childhood friend, Wang Rin (Hong Jong Hyun), is his trusted ally and bodyguard. 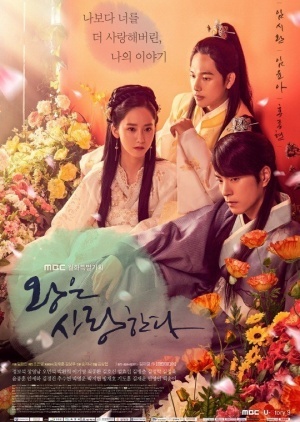 When they meet Eun San (Im Yoon Ah), the beautiful daughter of the wealthiest man in the country, they become inseparable friends. But when both Won and Rin fall in love with Eun San, what will happen to their ambitions and friendship?